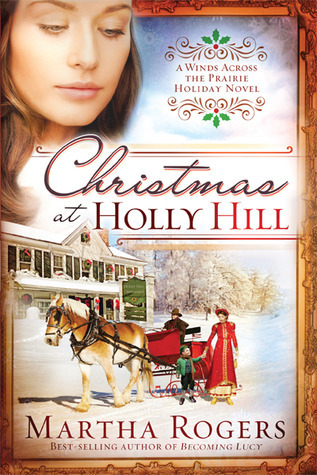 Christmas At Holly Hill by Martha Rogers | Stop #5 of my Salute to Christmas Reads! Can you go home again? is one of the classic questions that we see in books and movies alike. And…more often than not, it is the one where we see the most interesting story lines! is no exception to that. I REALLY hope to see more Christmas books from Martha Rogers! I have read many stories with this sort of theme and this is certainly among the best! Martha has a way with words and with characters and their stories! From the moment Clayton steps off the train, we are “with him” emotionally. I’m not about to ruin anything for you but Martha writes the story so well – it’s impossible not to put yourself in the characters’ shoes. Again… Well done Martha! An exceedingly well-written book. I said it before and I’ll say it again. I LOVE finding new authors! And I hope to see many more wonderful books by such a talented author! Martha even has her own page on WAL-MART.com! WOW! I was blessed to receive a free copy of this book from the author herself. < Previous Where Treetops Glisten by Tricia Goyer, Cara Putman and Sarah Sundin | Stop #4 of my Salute to Christmas Reads! Thanks for the great review. I loved writing this book and hope others wiil enjoy it as well.